Cylons, Colonial Warriors, Geekery, and Review News! 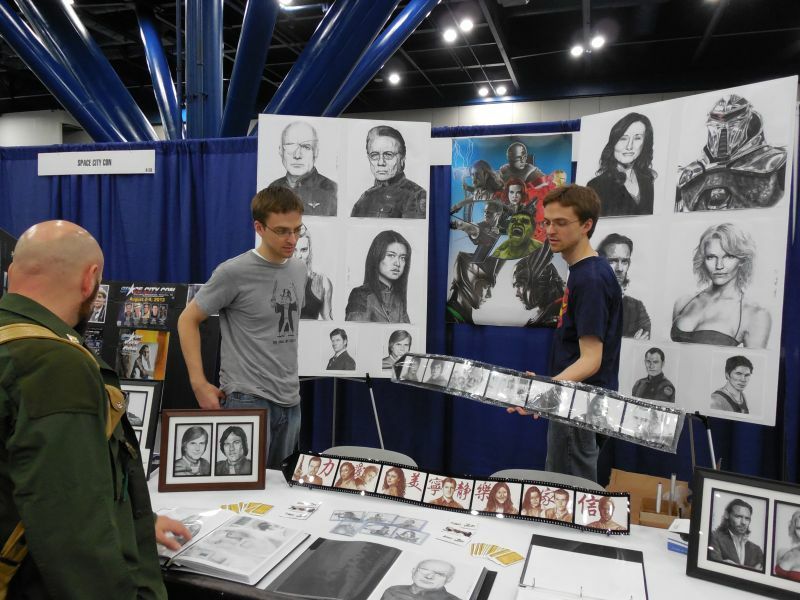 So here I am in Houston enjoying myself tremendously at Galaticon 3 and Comicpalooza! What fun I’m been having! I’ve never considered myself a part of the BSG fandom, though I wrote fanfic for it a long time ago. Man, have I been missing out! Nicki Cline, on being asked if she’d ever felt overwhelmed by fans at a large convention like this commented on the fact that she’d heard from fellow actors how fans in some fandoms didn’t respect an actor’s personal space, but that she never felt intimidated or threatened by the fan’s love of this show and their enthusiasm to discuss it. She went on to say that she found the fans to be some of the nicest, most respectful and generous people–and that since she had no other point of reference, she couldn’t say if it was particular to the BSG fandom, but she suspected it was true of sci-fi fans in general. A lot has been said by the actors for the gratitude they feel for the fandom and the power of the love of the show and what it has meant to Battlestar Galactica as a whole. Edward James Olmos has the ability to command a room, and that’s no lie. He just comes in, starts speaking, and we all sit up and listen. And when he says, “So say we all!” in no time flat, the crowd is chanting–no, roaring–the words back at him, pumping fists in the air. It’s kinda amazing and very cool. I decided today to capitalize on a slight resemblance to Mary McDonnell and dress as President Laura Roslin today. It’s been funny to get a few double-takes! Everyone is having so much fun that it’s hard to remember that Anna Butler and I are here to do a workshop and panel discussion on fanfic! Aside from catching up with old friends and chatting with the actors about the things they are passionate about in life, there’s so much to see and do! The exhibition floor is pretty amazing, with a half scale model of a Cylon Raider and all kinds of wonderful vendors (steampunk hats! Corsets! Comic books! Jewelry! Must. Keep. Checkcard. In. Room.). One of the most amazing vendors we’ve seen so far has been this table–the artists are twins who’ve been drawing for years and finally decided to start their own business. They’re called Reinke Arts (you can find them at reinkarts@yahoo.com) and they sell fandom art and do commissions as well. Aren’t they astonishingly good? I’ll have more as the weekend unfolds, but it’s time for the Ambrosia party now! And I hope to get a ‘reading’ done from someone who’s created Galactica tarot cards! And pictures of the steampunk hats! I have to get a picture even if I can’t afford to buy one! Oh yes, and I’ve got that panel discussion tomorrow! In the meantime, I received the most awesome review today–The Boys of Summer has been Gaylisted! Do check it out! It is really a delightful review–I’m very honored and pleased by it! 🙂 I almost forgot too, it’s now available in print form on Amazon and other outlets. This entry was posted in Uncategorized and tagged announcements, Battlestar Galactica, reviews, Sarah Madison, The Boys of Summer by Sarah Madison. Bookmark the permalink. Looks like you’re having a great deal of fun! I’m so glad 😀 It’s amazing being surrounded by people in costume. As we really get rolling into the weekend proper the number of convention attendees is expected to burgeon into the thousands! I’m excited and a little nervous at the same time! I can’t decide what to wear today, and suspect I will change outfits several times before the day is out. 🙂 Expect lots of pictures! 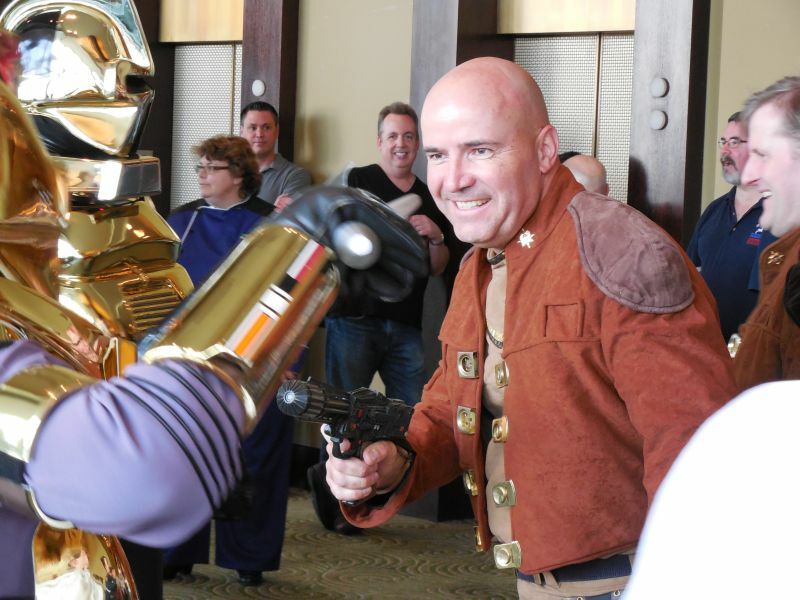 Sarah Madison recently posted..Cylons, Colonial Warriors, Geekery, and Review News! Sounds like you’re having an awesome time! I really wish I could have gone and met up with you an Anna! I’ve taken some of Richard’s classes too – he’s so genuine in them. I can’t wait to hear how your panel goes!